I live in Wellington, New Zealand, which is the bottom of the Nth Island sitting next to a channel between the north and the south island - consequently I struggle for windless days - with Coaxing from @flyboa I am looking forward to my next adventure in slope soaring! Without driving too far for a beach with a slope I am going to look around for some sites in and around the city to get started! Here is 'Sir' Andrew Newton's beginners guide to sloping, and I also love the one from @Mid7night sloping the Spitfire. My first question is setup and CG for a sloper - what are we looking for here? I have my DL(TT)G at 1.0m and my new 1.2m V tail DLG to use - in terms of a hand throw (on a windless day) what should these slopers glide like? I imagine they need a bit of nose weight - but how much, and therefore what would the glide performance be like for testing? Is it possible as a newbie to throw the glider out and hover into the wind, or is it best to travel along the slope - I guess I am asking what would be a simple way to learn? Just take the prop off of something that flies well, find a hill that is at least 100 meters tall by couple hundred meters wide with nothing in front of it, and when the wind is blowin right at the face, chuck it off. To keep from chasing too much, see if it will lift out of your hand first. Anything above a fluttering flag should do it for wind speed. Back and forth is preferred, hover is darn difficult. @Piotrsko - hehe - thanks for that tip - this is also what @Mid7night had to say a while back. Watch the birds; they've been doing it WAY longer! Seriously, visit a slope and watch how the locals fly. Slope patterns are not intuitive from a powered flight and even change from site to site based on topology and wind direction/strength. Normal circular patterns don't work on the slope, the basic beginner pattern is just back and forth. While you're learning: NEVER TURN TOWARDS THE HILL! That's just asking to get blown in. Survey the landing site and approach, and watch others land a few times before throwing out. Landing a sloper, IMO, always has more potential to be more "interesting" than powered. Stay close to the ridge, that's where all the updraft "compression" lift is (again; watch the seagulls on a sand ridge). If you get too far from the lift band, you'll be in for a walk. Your nnDLG would actually be a good starter plane; light wing loading makes for good floatation. Wings are also good to start with; the Versa is a decent candidate, also the Alula is pretty forgiving. 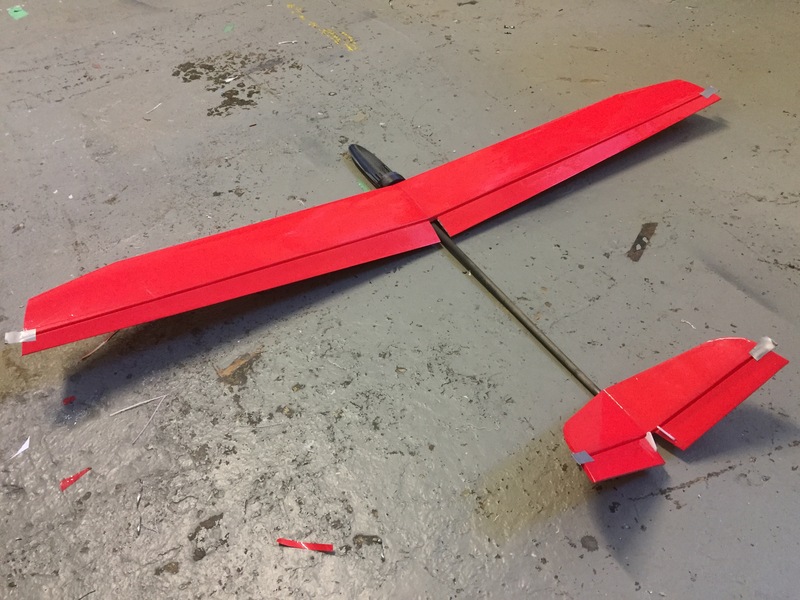 @Piotrsko - I have built a few too many planes lately and have had no flying time, so I am quite excited to try this - so I take it from what you are saying a standard CG setup will work for the slope? Works if there are birds handy. My high school site doesn't have birds that soar, they cheat and flap. @Piotrsko - elevator only or ailerons too? Btw in the videos both are flying pretty too far out away from the hill for my taste, but if they are in lift it's ok. I usually stay in a zone about 45 degrees from the top mostly because I hate climbing up & down hills. I am also thinking you are alone on a secluded site for the first time. If you have experienced people there, listen to them. @Piotrsko - I will likely be alone hence my nube questions - I was hoping I can launch and float around close to me - most of the videos I find are from experienced fliers and make it look easy - I was looking for the guide for dummies! oh, I do have aileron flap mixing (if needed for aileron trim). thanks for your comments - I appreciate it! It is easy, even I can do it. Forgive me if this seems rude, but you can sucessfully fly thermal? Slope is like thermal, more or less, but the thermal just doesn't end, and it's IMHO way more fun. Slope is also like power, but no mess, no charging, REALLY long flights. @Piotrsko - I feel emboldened now - I am a reasonably new-newbie to the hobby (powered flights only) with my only limitation being weather and my available time (when the weather and time coincide) - however, I am here for the long term and so I just have to bide my time - looking forward to trying the slope and it is great to get some input beforehand! 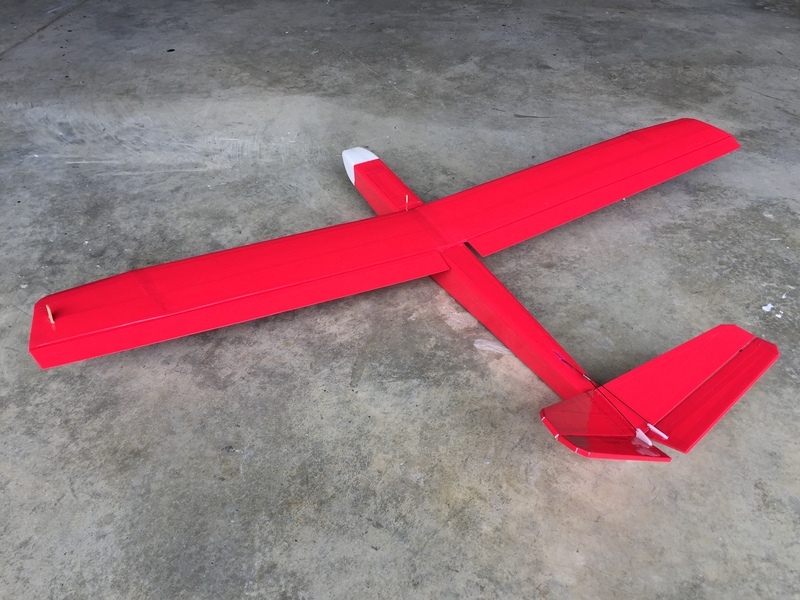 I was checking out this thread today by CapnBry for his ridge runner motor glider and seeing it was topical for my soaring quest, here is the original ridge runner article which I am planning like CapnBry to build in some form for my next wing! @Hai-Lee - I can't seem to find sparkie on the forum (from the original ridge rider article) - a fellow Australian? I'll be following your thread to see how it goes and learn from your exprience. I also want to give slope soaring a go but don't have the courage to toss the plane off a cliff . @mayan - I am tired of waiting for no wind to fly - I need to find a couple of possible sites (preferably without a cliff) - actually I live on a hill and the seagulls float outside our windows but I doubt I can start soaring there just yet! Seagulls are roughly equivalent to a 2 meter wing, but only if they don't flap, or tuck their wings into a "W" pattern. It doesn't get ANY better than flying in your front yard, BTDT. PICK SOMETHING and go fly it!!! Only three things can happen: walk to bottom of hill, crash, or have a wonderful flight. I am good at all three. I agree with @Piotrsko ain't nothing better like flying in your front yard . I'll have to find a sutiable hill for this instead of using the cliffs of Jerusalem like I wanted to, b/c getting the plane from the bottom of a hill is something that I can live with, getting it from the bottom of a cliff, less . for cg, like has been said i would make sure the plane flies well on a hand toss. Now a lot of slope guys will move the CG back slowly, the reason for this is it makes the plane much easier to fly acrobatics. But if your just interested in sloping back and forth just make sure it is setup as any rc plane as far as cg. Now what you may want to do is add more weight (ballast) when it gets windy. You will find the plane just not moving thru the wind and getting kicked out of the ridge and not being able to get back in. Ballast needs to be placed right on CG. You want to increase the weight of the plane without messing up cg. i spent 2 years taking my slope stuff with me on every vacation and never having success. Than one day at the beach i finally got a successful flight in. Than after that i got 3 more flights in the next month. I just didnt know what kind of wind i needed and direction and all that. It really is a different skill than powered flight, but its awesome.